Summer vacations started with a bang. 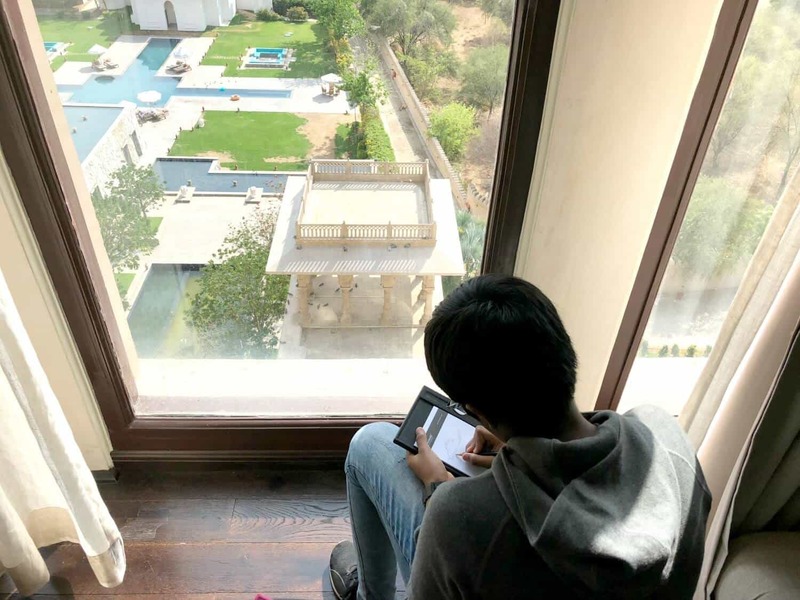 The day elder one’s exams got over we celebrated his birthday and the next day we were flying out to Jaipur to be hosted by Fairmont Jaipur. This must be my ‘nth’ visit to Jaipur but I don’t know what it is about Rajasthan that I keep going back again and again. Jaipur is a must visit if you want to experience the rich cultural heritage of India. 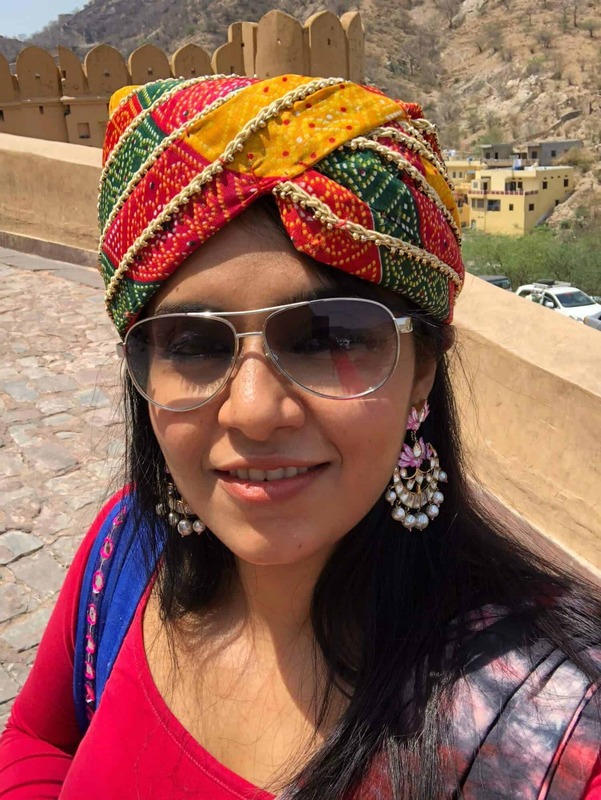 We had already visited the most sought-after sites of the Pink city like the Hawa Mahal, the City Palace, Johari Bazaar etc. 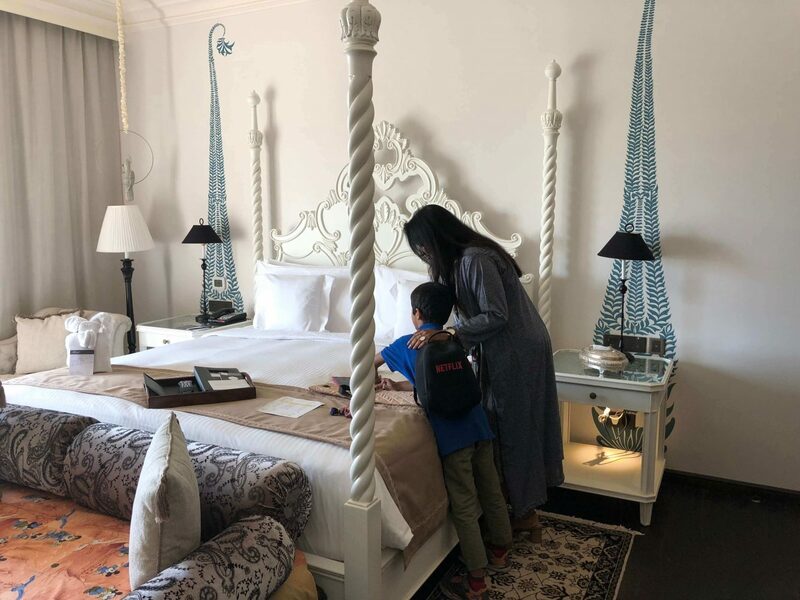 While it looks nothing less than a palace, Fairmont Jaipur was built in 2012 from scratch combining the elements from the Mughal and the Rajputana culture in the memory of the love of Mughal ruler, Akbar, and the Rajput princess, Jodha. 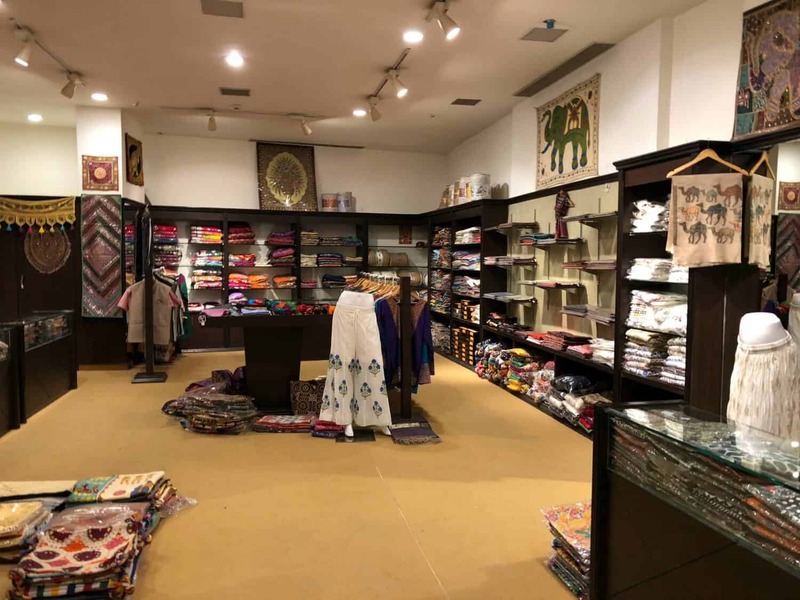 It is just ten minutes away from Amer Fort and Nahargarh Fort which makes it a great location if you want to experience Jaipur beyond the city and the city is just 25 minutes away too. Once you arrive you cannot miss their grand welcome which is specially designed to entice all 5 senses within us. It starts with drum beats followed by rose petal shower, a local song, welcome drinks and a traditional tika welcome. Every detail is very well thought of. 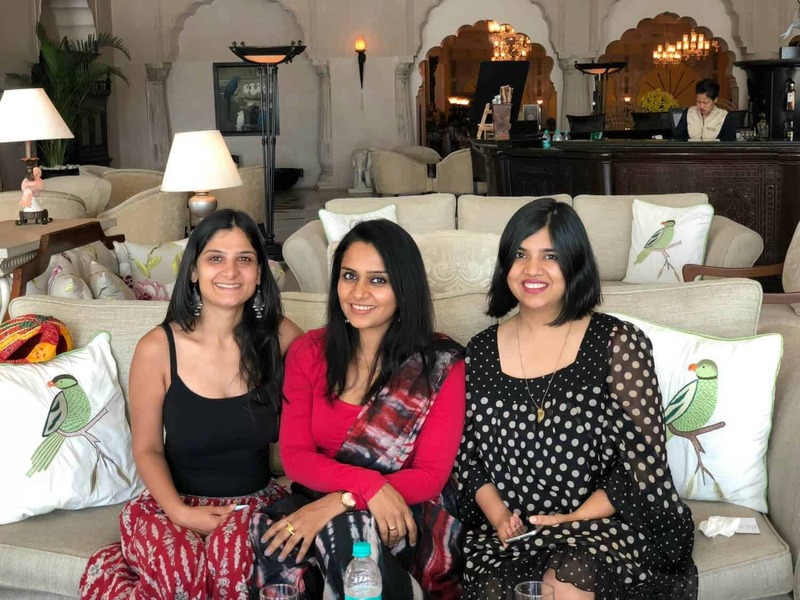 Luckily for me, I met these two lovely bloggers Anupriya Kapur and Aditi Kumar Mathur, who I had interacted with online but hadn’t spent time with offline. They had come along with their kids too. Together all kids formed a mini team and they were pretty much off our hands. 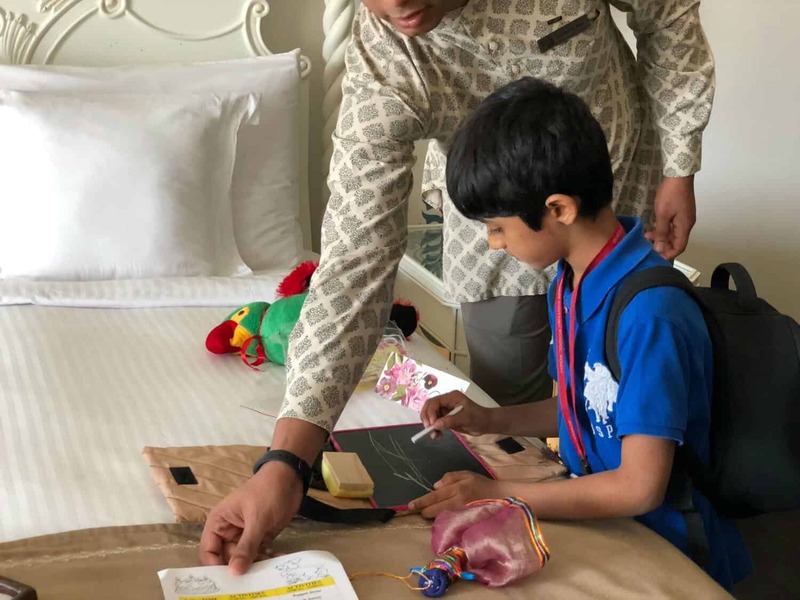 The staff had hidden some surprise goodies for my kids when we arrived and there was a mini treasure hunt for the kids to discover the goodies. It was a really sweet gesture. 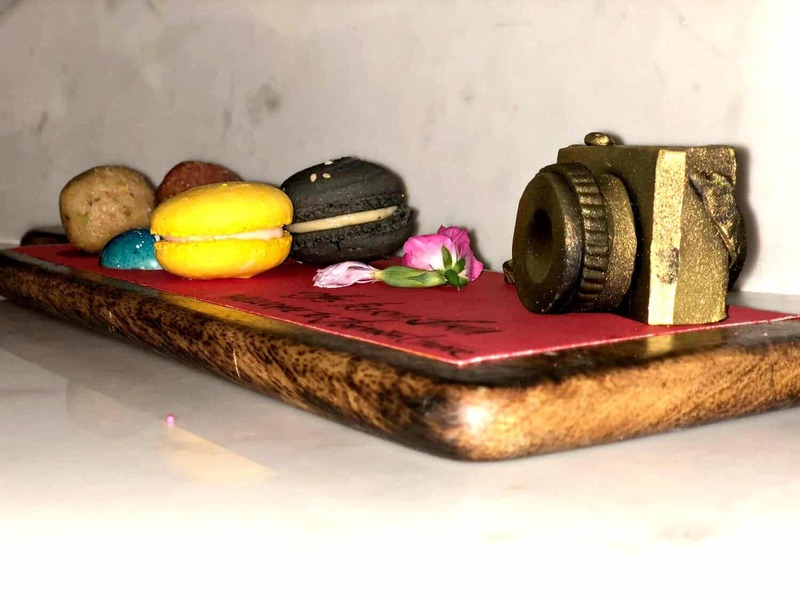 Since a lot of you wanted to know what was in the goodie box; A slate, chalk, a mini Rajasthani puppet and parrot toy. The elder one got a box of assorted chocolates. The Fairmont Jaipur has around 245 rooms and all rooms look alike and are humongous in size ie anything between 548.76 to 581.04 sq.ft. They are plush and spacious, with four-poster beds, wall decals and world-class amenities. The highlight was the stone bathtubs built in ‘Hamam’ style. 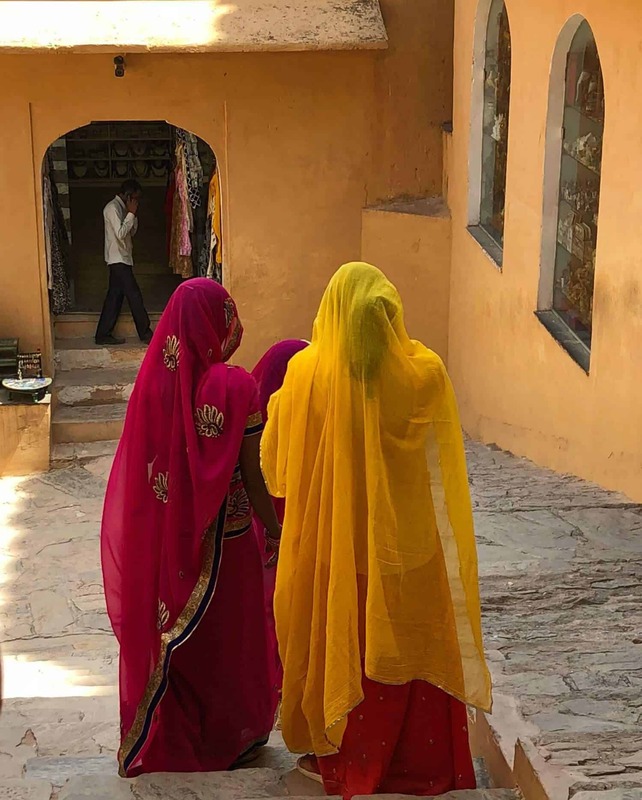 April is a really hot month in Jaipur and we knew we won’t be exploring much outdoors but after seeing the property all my anxiety was put to rest. There is just so much for the kids to do here. 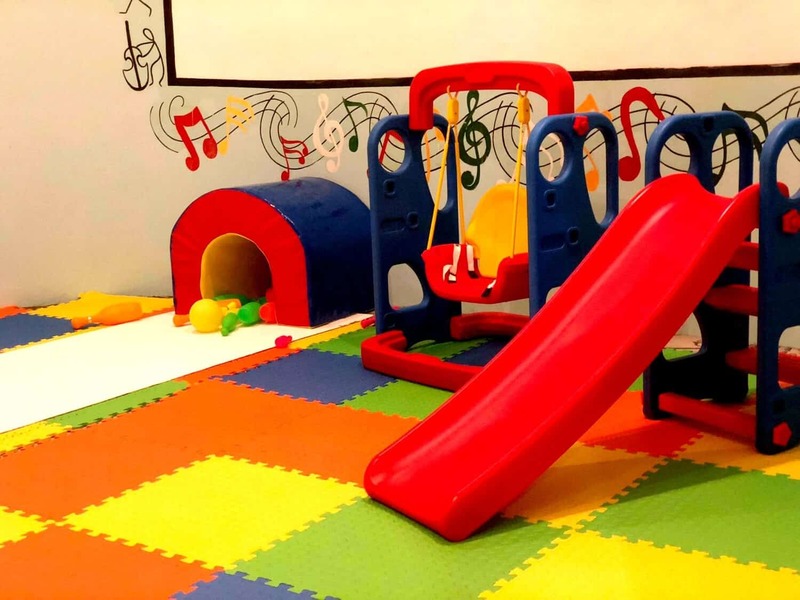 A fully equipped kids play zone, trampoline, a pool, Fussball is the only bystanders because every day they make sure that there are a plethora of activities for the kids to engage in. 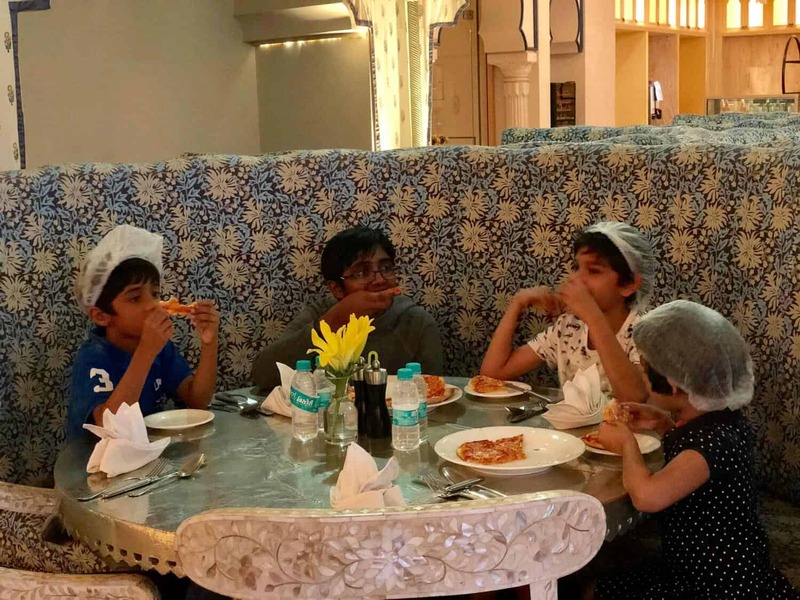 My kids enjoyed baking their own pizzas from scratch, and my boys have always enjoyed baking since they were kids but we have only been limited to cakes and cupcakes so making their own pizza(btw one of their favourite food) and eating it too was super fun. They also learned to spring in a few kid-friendly concoctions at the bar. Apart from this, there was movie time at Tangerine and Rajasthani puppet shows and dances in the evening. The kids were pretty much off my hands during the trip and the staff was friendly and very attentive to them. They keep adding to these activities every now and then depending on group size and demand. 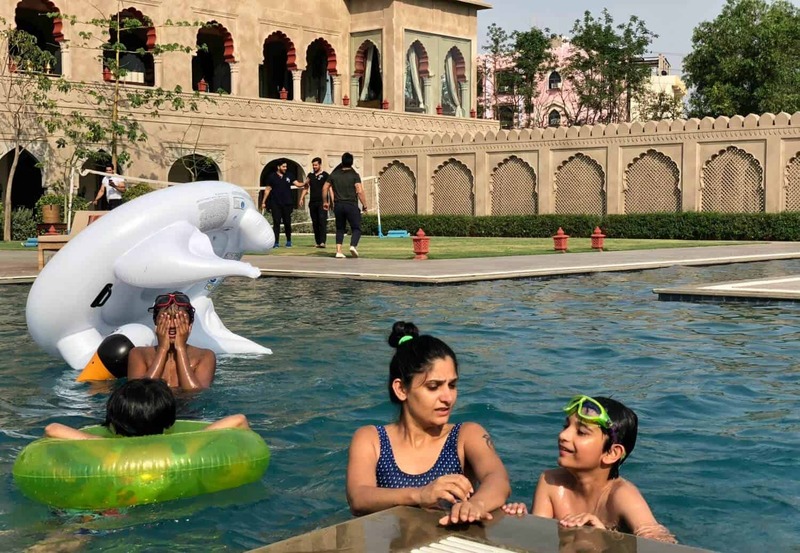 If you plan to head to Jaipur when the heat is on top of your head, then you must try their outdoor activities like hot air ballooning, mountaineering at the Aravalli hills, elephant picnics. Sometimes my kids get inspired too!! Sketching the facade. 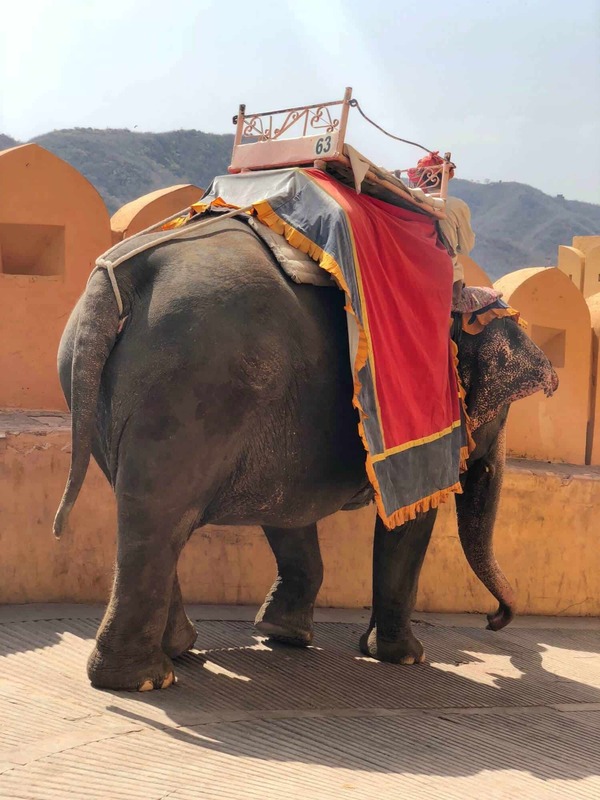 They also arrange visits to the local markets and villages for shopping on camels and carts and arrange for elephant rides. Get authentic experiences with the locals. I have not seen such a variety of cuisines under one roof in a long time from Persian food at Zarin to Anjum which celebrates and offers tea from all over the world and offers locals flavours too with a twist to Asmaa a rooftop restaurant with royal cuisine to their vibrant and modern all-day dining at Zoya. There is also Aza, the library bar with low lighting and with the British design when you want just want to spend time with adults and not your mini versions. 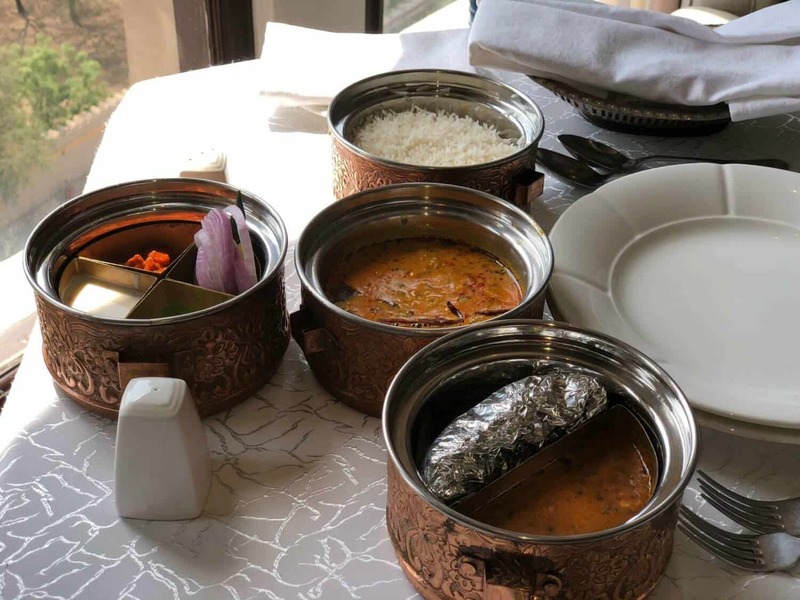 One of the highlights of their food experiences was ‘Dabba’ or tiffin service in the room. 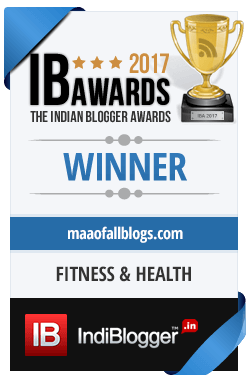 A lot of times my kids and I feel too lazy to step out of the room to eat food and the Dabba would work pretty well for us, Served in a brass tiffin, we had dal makhni, Gatte ki Kadhi, rice and roti along with some papad, pickle, curd, and onion. Some of the food was quite spicy and while I love spice, the kids had a bit of an issue. So do ask them to tone the spice while ordering. The high tea here is another highlight that you shouldn’t miss here. 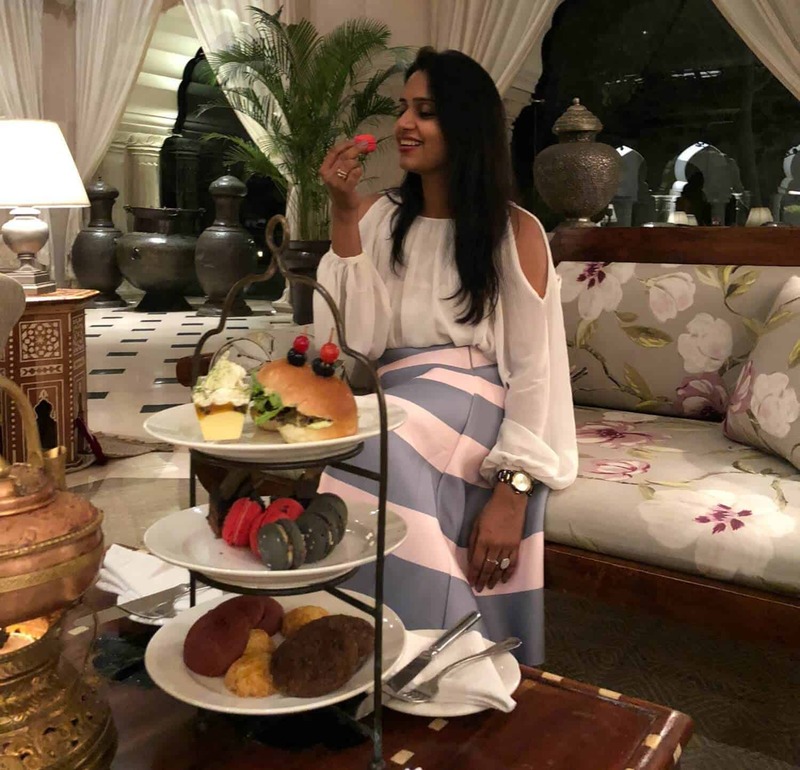 At high tea, they serve classic Indian masala tea, Kuntez, and orange coffee along with Indian sweets and savoury dishes in a three-tier plate setting. You can’t just have enough. Who doesn’t love feeling special? 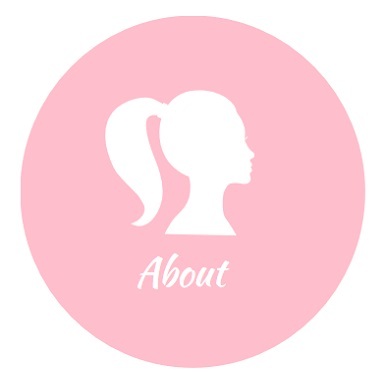 There are these tiny extras that they add to their service which shows personal care and really made me and my kids feel special. 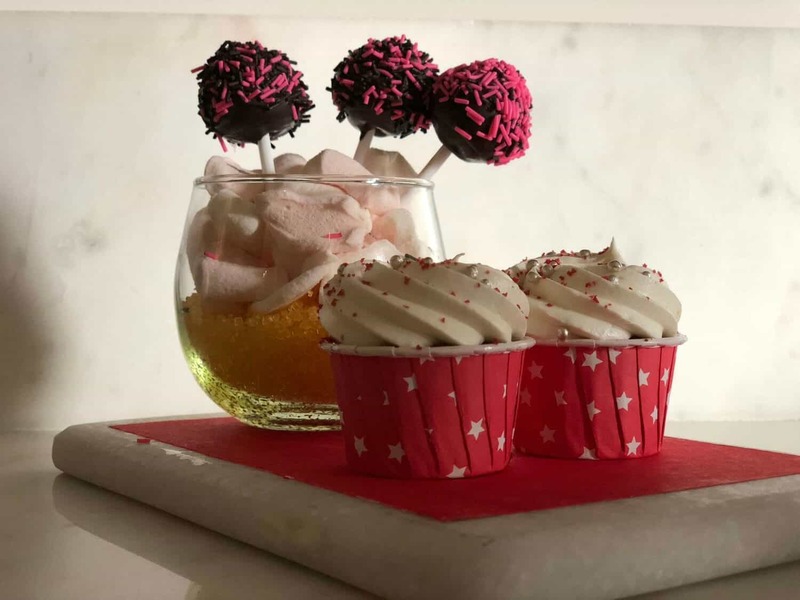 Like these chocolates and bakes that use to magically appear in the rooms every day. 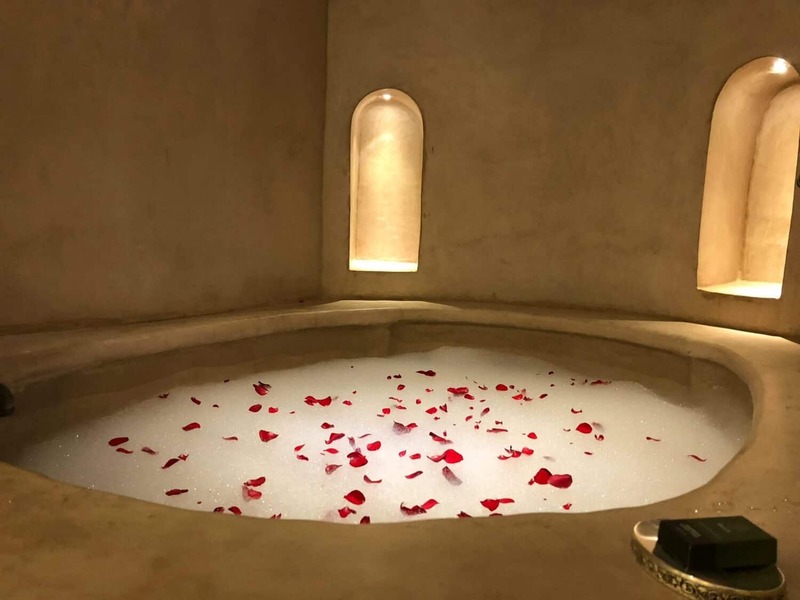 And a rose petal bath ready to jump into when I came back in the evening. Every part of Fairmont Jaipur has been built on a concept keeping in mind the Indian tradition. 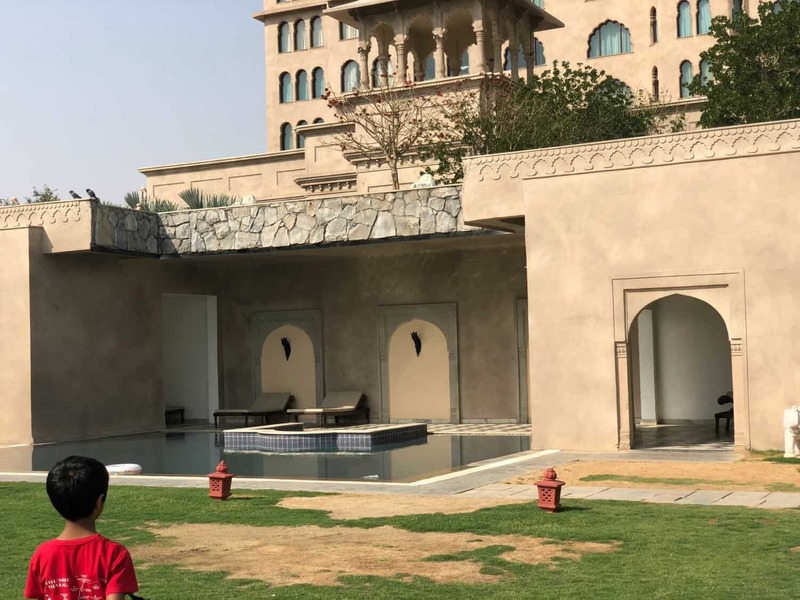 The swimming pool has the most offbeat shape but the story connects us to the age when the kinds used to play an Indian dice game called ‘Chaupad’. The same game in which the ‘Pandavas’ lost Draupadi to the ‘Kauravas’ in the epic Mahabharata. There have built separate pools built keeping in mind that men and women had separate bathing areas in the olden ages. Today this is only in concept and everyone can use the common pool. 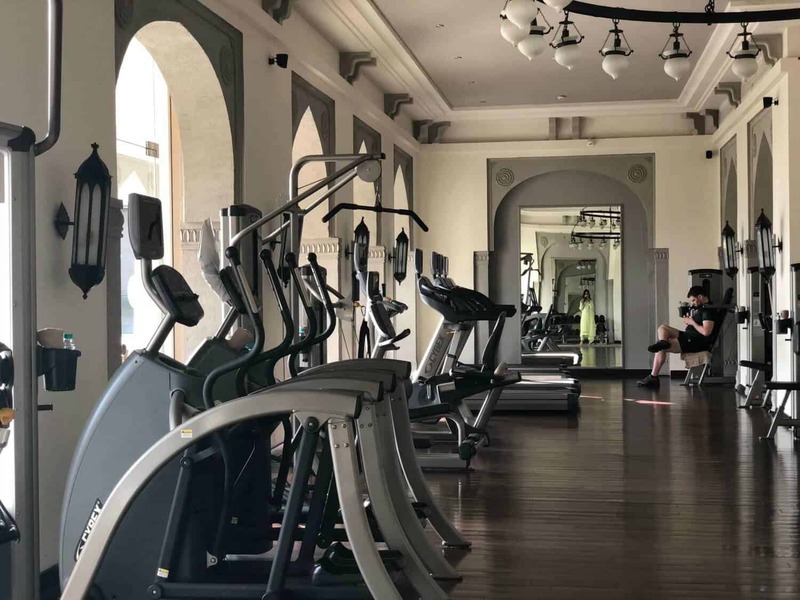 There is a fully equipped gym, a traditional spa along with a salon and a shop within the hotel premises. You really don’t need to step out for anything. This was a most relaxed trip for me and the kids with no agenda and lots of fun. 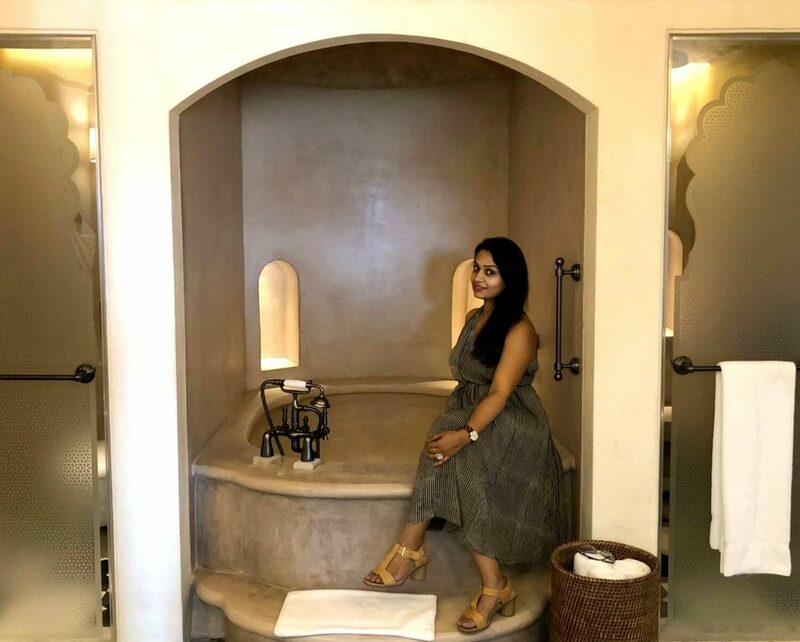 While they have a lot of energy and I wanted to relax on this trip, they had enough and more to keep them busy while I bonded with other blogger moms or wanted to have a peaceful ‘Hamam’ bath. 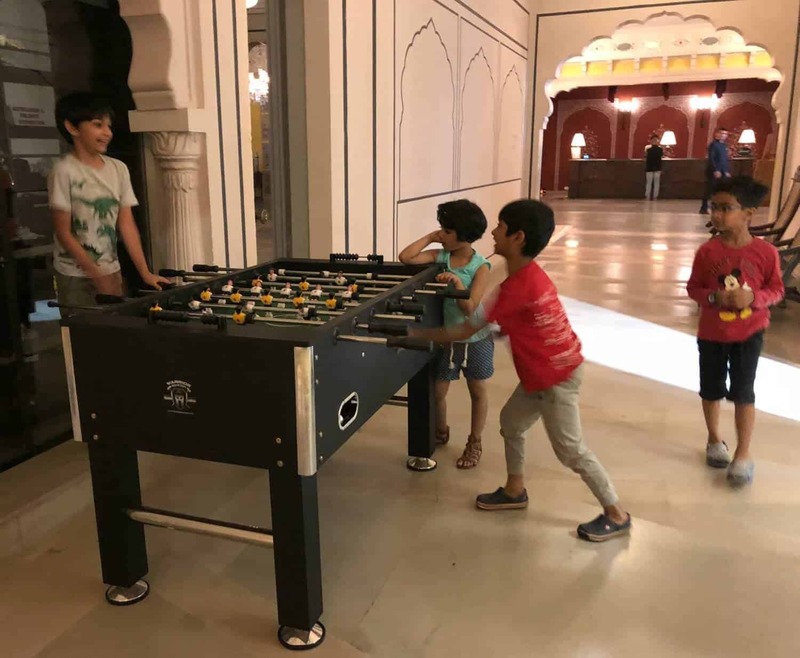 Other times were spent playing games with them, visiting the Amer fort or just enjoying the evening with them. We also did a lot of catching up on Netflix in the nighttime :). 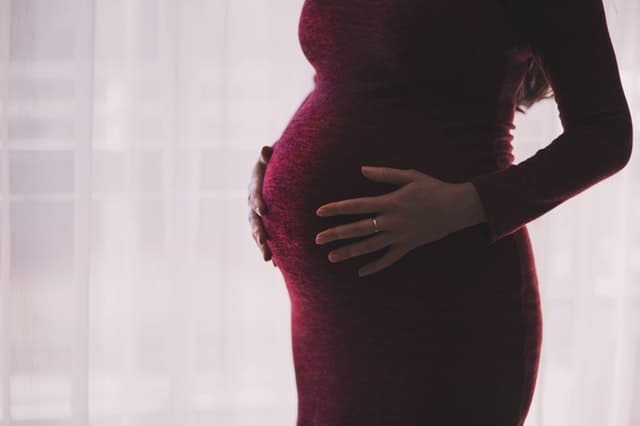 After reading this if you are still thinking “I need a vacation but the timing just isn’t right,” do yourself a favour and take a family trip as it is not about having time but making time. Adios, folks until we meet next time with a lovely trip. I Need A Vacation To Recover The After-Vacation !! disclaimer: While we were hosted by the property. All views expressed are mine and based on my experiences. Fort Jadhavgarh-All the masala but missing the taste! Fairmont Jaipur is one of the most luxurious and beautiful properties in and around Jaipur. We loved our stay there too. 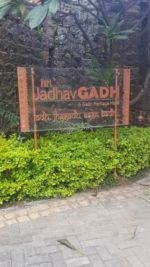 Loved the cultural tadka in this post, The pictures are so beautiful and lovely! 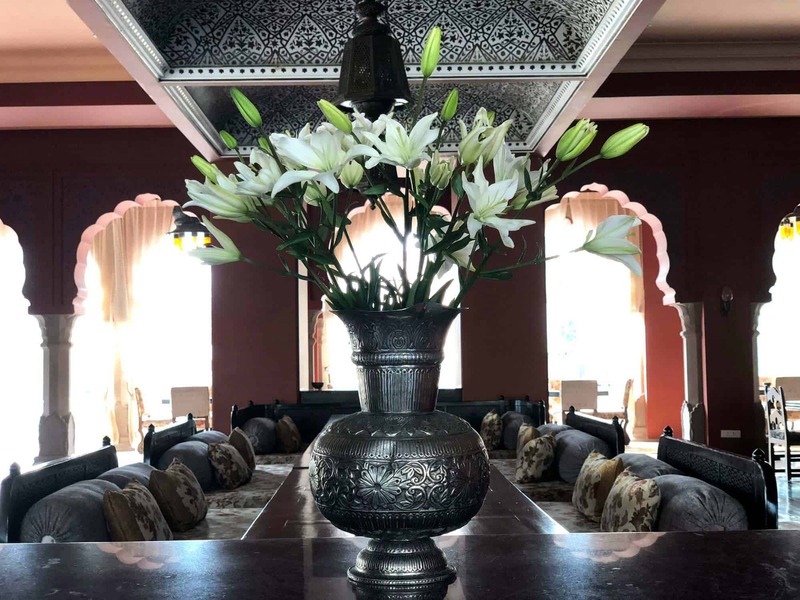 Beautiful photographs of a lovely hotel. Looks like you had a good time – specially since you met up with two other bloggers. It looks like you had a great experience with your kids. The place looks so amazing for a royal stay. I have visited Jaipur thrice and would love to visit it again. Loved reading your journal. It’s in depth and engaging. You made me nostalgic of my city, I so much love Jaipur and my Rajasthan. Fairmont hotel is lovely and perfect for a holiday. 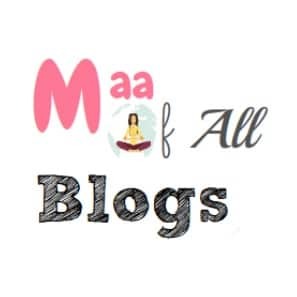 I have seen your Instagram post and lived all of it 😍 This detailed blog post is surely gonna helpful for us.thanks for sharing. Looks like a premium property would love to be here. 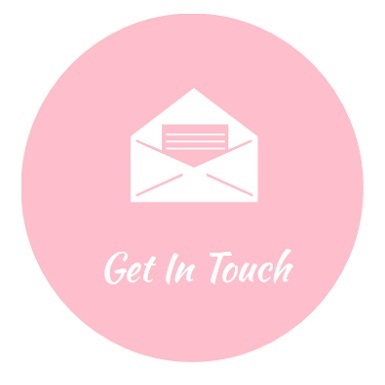 The beauty of any hospitality property is in the careful nuances of making guests comfortable. Fairmont Jaipur is such a beautiful place to visit. Thanks for sharing your experience with us! 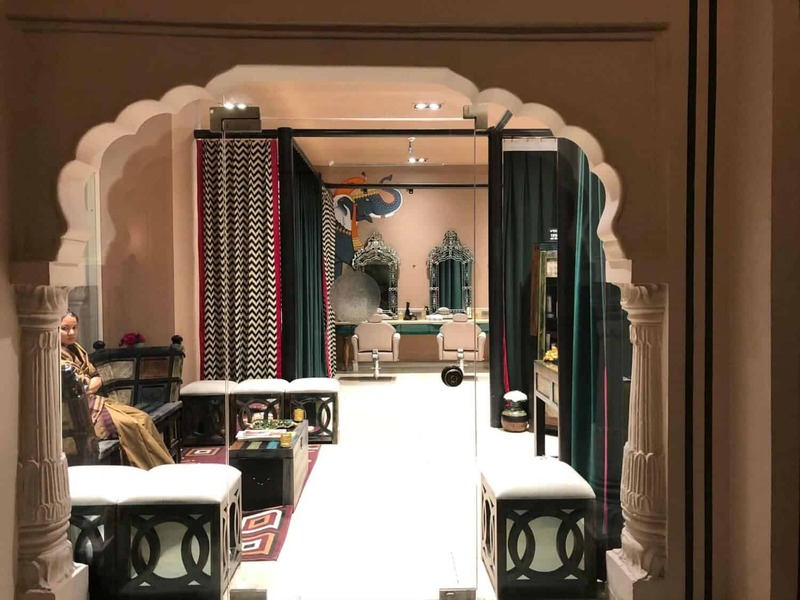 We’re planning a visit to Jaipur and this place looks like a must-stay. Lovely pictures. 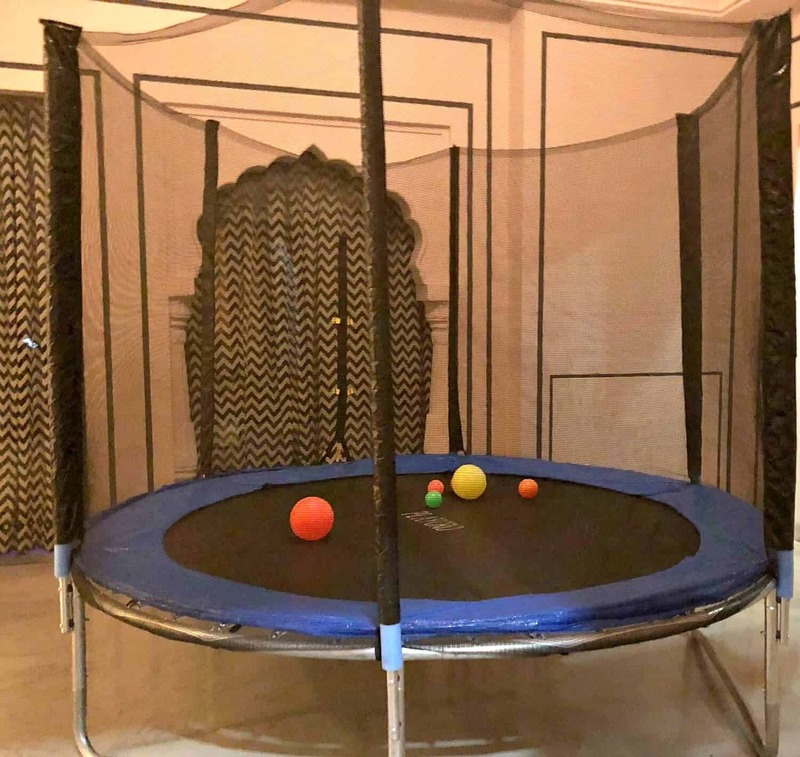 Fairmont Jaipur looks perfect to stay with kids and family… Love the cuisine, it looks so tempting. 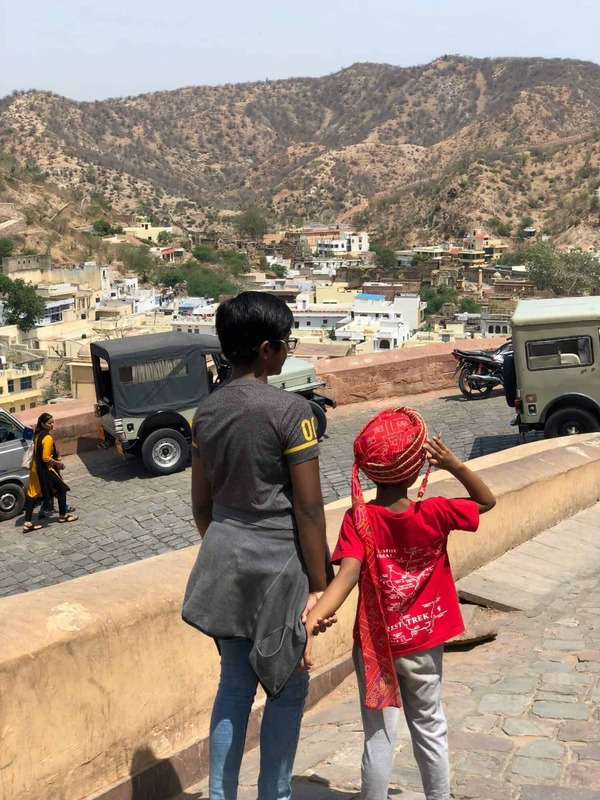 Jaipur is a very beautiful city and the property is looking very interesting for kids. awesome place. nice blog thanks for sharing…………………….